Completely satisfied with everything. We were in a group of 4 families with children 6-10 years old. Each family had its own apartment. The guesthouse offers very cozy apartments with kitchen, but we used the excellent homemade food. Very friendly guesthouse manager, there was the atmosphere like at a friend’s cottage. With such an attitude full of comfort and trust I have not long met. And the kids were excited, flew around the surrounding meadows, playing ping pong in the barn, watching how the cat caught the mouse, we did a small campfire, sheer idyll. And I almost forgot, there is very good selection of wines. I highly recommend to everyone :-). We got quite a luxury apartment (Pyramid), plenty of space, 2x toilet and shower plus sleeping floor that children use in a variety of ways. The magical atmosphere of genius loci, friendly manager almost always available, great food – rich morning buffet (homemade cakes and pies!) and a delicious dinner. Bernard beer chilled on tap and tasty juice instead of soda. And of course Sumava everywhere! 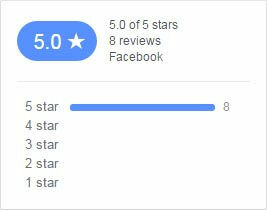 We recommend and we will be happy to return ! From arrival to departure we felt very well and happy. The manager and the waiter in the restaurant were very helpful. Food excellent and accommodation at a very good level. We are determined to return to the guesthouse Mauritz. THANK YOU. 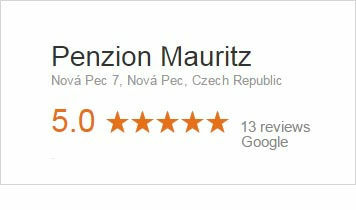 We collect top reviews also on Facebooku, Google+ and Tripadvisor. Thank you!